Delightfully cool and sugary sweet, your patrons will love this Reading Soda Works 12 oz. root beer with their meals. A tantalizing blend of rich flavors and spices, root beer will fill your senses with classic, all-American taste. 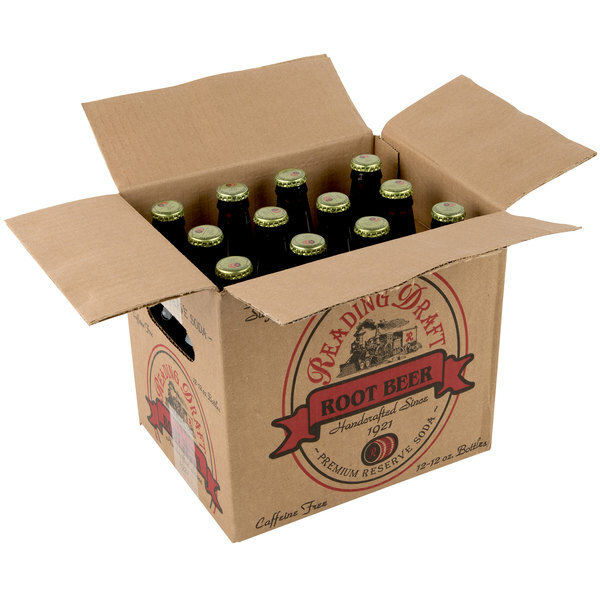 Originally, root beer was marketed to Pennsylvania coal miners. It became a popular soft drink by the late nineteenth century, and there's no doubt that it retains some of its timeless charm today. Root beer has a distinctively sweet taste on its own, but it can also be used to make creamy, indulgent root beer floats when poured over ice cream! 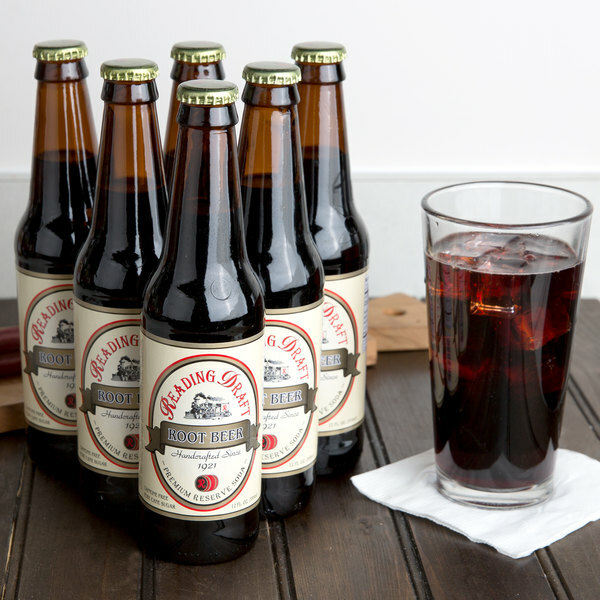 Additionally, this root beer comes in a dark glass bottle for a classic, old fashioned look. Th root beer from reading has got to be up high on the list of root beer’s. It tastes so good and has a cool glass bottle look. This is one of the best root beers you can buy. Sweet, rich and creamy! Reading really hit it out of the park with this one. The Reading Soda Works root beer has a great iconic root beer taste and love the great packaging. 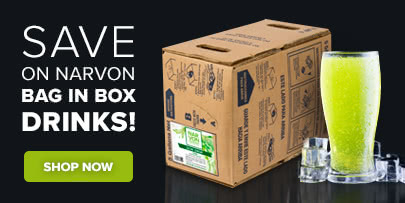 The soda is a great quality and very nicely packaged. 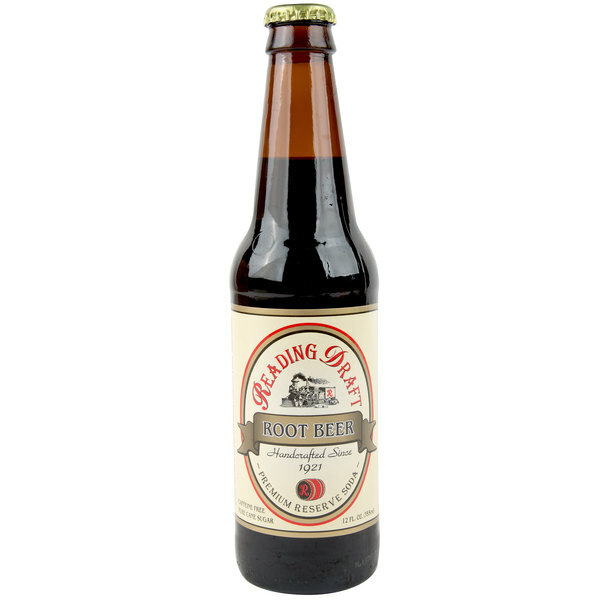 Honestly, this has got to be some of the best root beer that we have ever tried. I just put it out on our menu last month and I am not kidding when I say that we have already gone through a lot of the cases that we bought. It has a smooth flavor that is almost unmatched. This is exactly what I expected it to be. And for the price, it honestly beats going to the store here and buying some because it is so cheap!